Memorable keynote speakers: Deborah Ellis and Ruth Ohi. As always, a warm and welcoming day with the CANSCAIP community. HOW MUCH DOES PYI COST? Full day of PYI sessions and keynotes, plus yummy sandwiches for lunch and mighty good snacks is $200 for CANSCAIP Friends and Members ($225 for non-members). NOTE: If you're not currently a Friend or Member, to get the $200 rate, please join or renew first and then come back to register for PYI. Publishers are mentors for our very popular One-to-One evaluation meetings for your manuscript (MANUSCRIPT ONE-TO-ONE IS SOLD OUT), illustration portfolio or author website/social media. An additional $75 with your PYI registration. More info on this very popular option is below, following the session descriptions. When you register for PYI 2018, you can order videos of more sessions for just $10 each. Choose four sessions to attend live, and choose more to watch later on video! We're back at Li Ka Shing Knowledge Institute, 209 Victoria Street (near Yonge and Dundas), close to subways, hotels, theatres, shopping. DRIVE: Underground parking right below the building for $10 a day. TRANSIT: A short walk from the Dundas and Queen subway stations. Pantages Hotel is across the street from our PYI venue. Cambridge Suites Hotel and the Marriott Toronto Eaton Centre are a short walk from the PYI venue. Can't be there in person? All PYI sessions will be professionally recorded. About two weeks after the live conference, you'll be emailed links to the recordings of your selections. For info and to register for Virtual PYI click here. PYI 2018 and Virtual PYI 2018 are supported by Toronto Arts Council. Thank you! A conversation about safe spaces, maker spaces, and sometimes telling that inner voice to just hush. RUTH OHI is the author-illustrator of 20 books, and illustrator of over 60. Her most recent are Scribble and Fox and Squirrel Help Out (both Scholastic Canada). Ruth is a graduate of the Ontario College of Art. These days, “picture book” describes a wide range of sub-genres that include story books, biographies, concept books, non-fiction and poetic moments. The only rule you can't break when writing one is that it must be entertaining! With a focus on story structure, explore how to tackle this most challenging genre of writing. RUKHSANA KHAN is the author of 13 books, and has won or been nominated for 42 local and international awards. Her picture book Big Red Lollipop was chosen by the New York Public Library as one of the 100 greatest children’s books in the last 100 years. Multifaceted characters who come across as authentic are essential to every good story, every genre, and every age of reader you’re writing for. Explore methods to find a character’s voice, write dialogue that feels real, and dig deep into POV, all to help create powerful, resonant stories. DANIELLE YOUNGE-ULLMAN is the author of three YA novels, including Everything Beautiful Is Not Ruined, which was nominated for the Governor General’s Award, the White Pine Award, the Prix Sorcieres of France, and the Prix des Libraires du Quebec, and named one of CBC’s Best Books of 2017. Want to enthrall your readers with memorable characters and fantastical worlds? Want to make them laugh out loud? How about both? Humour and fantasy are a winning combination to capture the hearts and minds of young readers. This workshop explains how to craft a story that both sparks the imagination and tickles the funny bone. WADE ALBERT WHITE writes middle grade fantasy and science fiction and is the author of the Adventurer’s Guide series, including The Adventurer's Guide to Dragons (and Why They Keep Biting Me). His time is dictated by three children, a cat, and a hamster, and he strongly believes that a mid-afternoon nap is a legitimate method of research. Your publisher sent you a book contract offer and it's so exciting that you're tempted to simply sign it. But should you? In this session, which includes Q&A from participants, you'll learn about basic, often confusing, clauses, conditions and terms—from premium sales to electronic and film rights and more—contained in a typical contract, to ensure you don’t sign everything away. SALLY KEEFE COHEN is a literary consultant, based in Toronto, who has been acting on behalf of Canadian writers and writers’ estates for over 30 years, negotiating book contracts with both large and small publishers to ensure that creators’ rights are protected and respected. Whether you’re outlining, writing or revising, an analytical examination of your story will help diagnose and treat any plot problems. Learn how to become your own plot doctor by asking yourself questions about your characters and story, and then intuitively answering those questions. KAREN KROSSING has written seven novels for kids and teens, including Punch Like a Girl, runner-up for the Kaywell Books Save Lives Award, and Bog, winner of the SCBWI Crystal Kite Award. She conducts writing workshops to empower emerging writers, and is currently enrolled in an MFA at the Vermont College of Fine Arts. What makes an eye-catching and memorable picture book cover? A few weeks ahead, Rebecca will provide you with details and art direction on a mock cover assignment for a picture book. You’ll bring rough work and/or final art for discussion to learn what works and what doesn't. REBECCA BENDER is the art director at Pajama Press, and an author-illustrator. Her Giraffe and Bird was chosen as the TD Grade One Book Giveaway for 2018. If you’re a kidlit writer trying to get your first book published, this is the session for you! Our panel of newly-published authors tell how they got there. Lots of specific, practical advice... plus bring your questions for the Q&A. S. K. ALI is a Toronto-based author and teacher. She has a degree in creative writing and has written about Muslim life for various media. Her first novel, Saints and Misfits, was featured on many top ten YA lists and was a finalist for best debut YA fiction by the American Library Association. She is working on her second YA novel, a story about love. NASEEM HRAB is the marketing director at Kids Can Press and the author of the picture books Ira Crumb Makes a Pretty Good Friend and Ira Crumb Feels the Feelings. Her comedy writing has appeared on McSweeney's Internet Tendency and The Rumpus. JEAN MILLS has a communications background in writing, editing and college teaching. 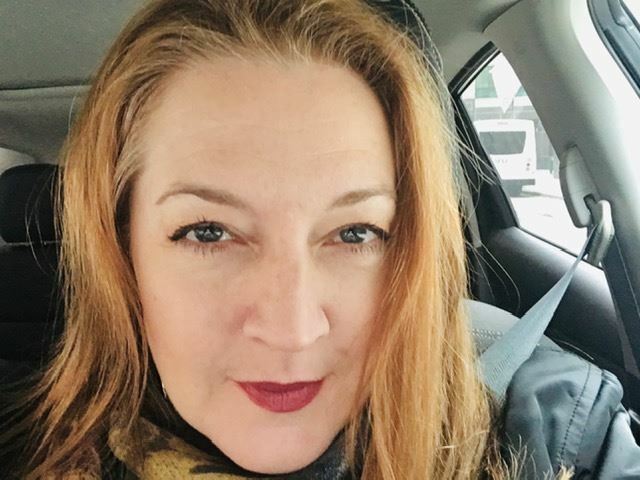 Her features, reviews and children’s stories have appeared in publications across Canada, and two novels were published in the educational market. Skating Over Thin Ice is her first YA novel to make it through the door at a trade publishing house. Great idea! Now, how do you actually start? Get crafty to get the best story. How do character and plot work for different ages? Which genre is best for you? What voice to use? What makes a first chapter? Can an outline help? Show or tell? Tips and tools of tradecraft that could make the difference for you. TED STAUNTON writes picture books, novels, non-fiction, and graphic novels. In 2013 he won the CCBC John Spray Mystery award and his work has been nominated for many others. His newest novel, What Blows Up (Scholastic), will be published in December. Ted teaches the Writing Children’s Fiction courses at George Brown College and has presented everywhere from Inuvik to Addis Ababa. When creating a picture book world, designing a character that compliments the story is key. How do you develop an endearing, eye-catching and original protagonist? How do you give them energy and personality in a few simple strokes? This workshop will guide you to creating the humans or animals who will inhabit those stories and bring them to life. QIN LENG is an award-winning illustrator of over 40 picture books, board books and chapter books. She made her authorial debut with I am Small (Kids Can Press). Qin won the APALA Prize for best picture book in 2015 and was a finalist for the Governor General’s award in 2014. Our annual publishing panel always packs the room. Hear the latest about the state of kids lit from the book industry’s best. BARBARA BERSON is a literary agent with the Helen Heller Agency, specializing in YA, literary fiction and memoir; and a freelance editor recently named a finalist for the Tom Fairley Award for Editorial Excellence. Previously, she was Penguin Canada’s children’s publisher, and worked with many award-winning authors. PATRICIA OCAMPO was most recently managing editor and children’s book editor at Simon and Schuster Canada. She is a past president of IBBY Canada (International Board on Books for Young People) and a former literary agent. She acquires early readers, middle-grade fiction, young adult fiction, and parenting books. ERIN O'CONNOR is senior editor at Scholastic Canada,for non-fiction, picture books, and book-plus projects. Erin began her publishing career as assistant art director and editor at Owl and Chickadee Magazines, and at Scholastic spent many years with the school book clubs division. ANDREW WOOLDRIDGE is the owner and publisher at Orca Book Publishers in Victoria, BC. After starting in the warehouse more than 25 years ago, he has performed many publishing duties including editor, marketer, forklift driver and, most successfully, squirrel catcher. Two authors share their insights on writing horror for middle grade and young teens. From plot to pace, character to setting, lots of tips and tricks to help you craft your own horrific masterpiece. MARINA COHEN is the author of middle-grade horror novels including, The Inn Between, The Doll’s Eye, and coming in 2019, A Box of Bones. Her books have been nominated for awards in both Canada and the US. JOEL A. SUTHERLAND is the Silver Birch and Hackmatack Award-winning author of Haunted Canada 4 to 8 and Summer's End. His new series, Haunted, includes The House Next Door and Kill Screen, and has been praised by Goosebumps author R.L. Stine. Fresh, fun science writing not only conveys facts, it inspires future scientists. In this workshop, explore genres in science writing and discover the best publishing pathway for your working style and goals. Then learn advanced research techniques that will take you well beyond Wikipedia… and into editors’ hearts. Strategies for organizing and managing research will also be discussed. L. E. CARMICHAEL is an escaped lab monkey with a PhD in wildlife population genetics. She’d much rather talk about science than actually do it, and has written 21 books for kids and teens, including the award-winning Fox Talk and Fuzzy Forensics. DEBORAH ELLIS is best known for The Breadwinner, recently made into an Oscar-nominated animated film. She is the author of more than 40 works of fiction and non-fiction. Her books are populated by resourceful young people around the globe, living in war, poverty, and oppression. Named to the Order of Canada in 2016, Deborah's literary awards include the Governor General’s Award, the Ruth Schwartz Award, the Vicky Metcalf Award for a Body of Work, and the Ontario Library Association’s President’s Award for Exceptional Achievement. Books by the speakers will be available to purchase on-site from Mabel's Fables. For an additional $75, you can get a 15-minute professional evaluation and critique of your manuscript, illustration portfolio, author website or online presence. Space runs out quickly for these unique and highly useful sessions pairing individual participants with publishers, agents, art directors, marketing directors, and other industry experts. 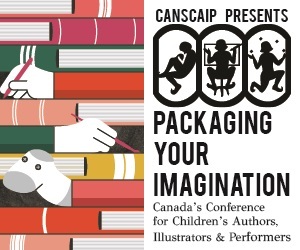 Registration for the full Packaging Your Imagination conference is required to sign up for a One-to-One evaluation.